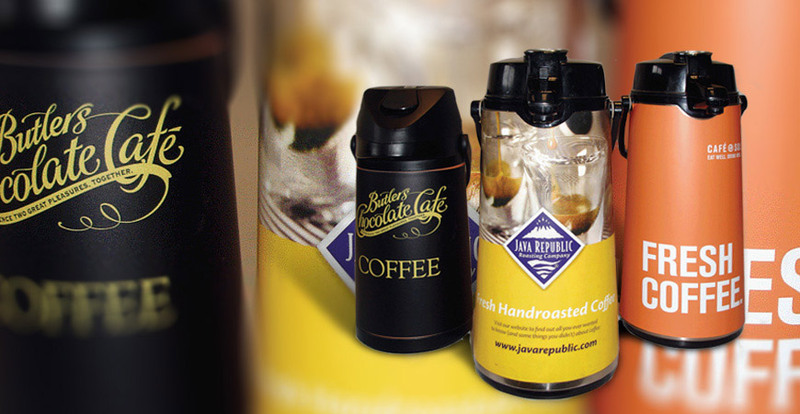 Give new life to dented scratched tea/coffee flasks with our self adhesive pumpskins, die cut to the shape of your flask. They are easy to apply and give a beautiful change of image instantly! They are a very visible display of your company logo or message. (Also known as pump pot covers or flask skins or airpot signs). Our skins are easy to apply, easy to clean and are durable. They resist scuffs and scratches They can be removed to allow for a change of image when required. We can design for you, or use your own design. We also manufacture magnetic signs to order. We can make any quantity you require. Fast delivery,competitive prices, world wide service. We provide a full design service too. Send us your logo & tell us the brands, size of flask & we will make a proof for you.